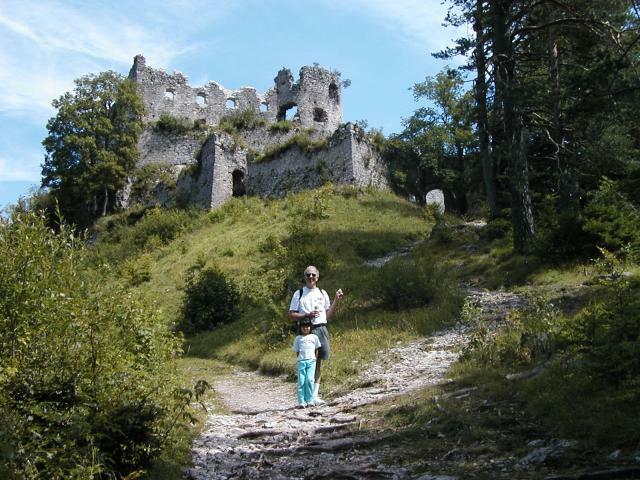 Geoff and Xandie get ready to make the final climb up to the Ehrenberg ruins. The hill is steeper than it looks. Photo by Pat.